The bookies, as to be expected, have installed Man Utd as favourites to win the title again followed closely by Chelsea. Liverpool are priced at half of Arsenal’s odds and the rest, especially Spurs, are really nowhere. These are prices quoted at the time of writing this post. For those interested Spurs are quoted at 100/1 by Stan James but Ladbrokes fancy them more at 66/1. Most of the teams have not yet of course completed their annual summer retail therapy. But most of them, especially the top four, have made significant moves. More is still to come but the areas that teams need to strengthen are to me discernible enough. In this four part series I try to analyse each of the top four’s strengths and weaknesses and based on the state of play so far try to come up with a reasonable prediction as to where they might end up by the end of next season. 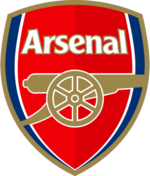 Part I: Arsenal against the odds? Part II: Liverpool. It’s getting serious. Chelsea faced two major weaknesses last season and rode their luck on the third. Firstly there was not enough cover in the centre of the defence and secondly for a lot of games an inappropriate system was adopted with a narrow 4 4 2. There was also too much reliance on Drogba to get the goals. Luckily for Chelsea he stayed fit which was not the case with Man Utd’s Saha or Arsenal’s Henry. Injuries to John Terry and then Carvalho meant that the rocks that were shoring the defence were removed. And internal disagreements within Chelsea did not allow Mourinho the recruitments he needed to correct these two massive losses. Now Chelsea have recruited to provide the cover that they so desperately need. Recalling Alex from PSV and signing Tel Ben Haim on a free from Bolton are I think very wise moves; Alex impressed me greatly against Arsenal in the Champions League and the Israeli is strong and used to the Premiership. All that now Chelsea need on the defensive side is another right back which would release Essien to provide his energy and power in the midfield. The addition of Ballack and Shevchenko last summer disrupted the tried and tested 4 3 3 system that won them back to back championships. The inevitable result was that Ballack crowded Lampard out. Shevchenko proved to be out of his depth in the new surroundings of the Premiership and as a result horribly overpriced. Non Chelsea fans must prey that he stays at Chelsea next season! The 4 3 3 system was belatedly brought back in the latter stages of last season and if this is continued into this season then I see Chelsea returning to its lethal best. The recruitment of Malouda points in this direction and if Robben stays then Chelsea will be a much more significant force this season. The system’s effectiveness will however be affected if he is allowed to go as Malouda is not as penetrative. This system requires the wingers to go past their full backs and put crosses in or cut backs. 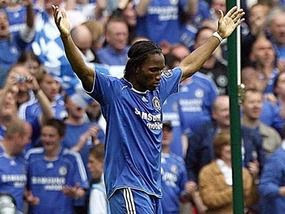 Drogba proved to be Chelsea’s saviour and of course best player. 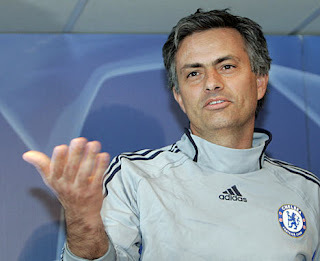 He managed to stay fit and scored crucial goals at very important games to keep Chelsea in the hunt. With Lampard’s relative loss of form he became in my opinion as important to Chelsea as Henry was to Arsenal. However Drogba may not be able to stay fit for the whole of next season. In fact, as his recent injury suggests, the law of averages would imply that he may not be so lucky. Chelsea have again recruited in order to provide cover for such an eventuality. The Peruvian Pizzaro is a wily forward who when presented with chances will get you goals. As he did to Arsenal’s detriment for Bayern in the Champions League. He is not of course a Drogba. Despite all the weaknesses and injuries of last season Chelsea challenged strongly for the title and beat Man U in the FA Cup Final! The major reasons were the tactical genius of Mourinho, Drogba’s amazing goal scoring ability and the tenacity and determination that pervades throughout the team’s management and players. Most of these attributes will in all probability be there next season. And with the wise additions to the squad I see Chelsea as a stronger proposition this season than last. Prediction : Premiership race for the title going to the wire. A very close second. Ed: You can leave a comment on what you think and also vote on the poll we have set up "who will win the title?" Since Terry and Drogba are already crocked I don't see chelsea getting off to a good start. This may jeopardise their chances for keeping pace with the others. Agree in general with your points but it remains to be seen if the back ups they brought in will prove as adequate as you may imply. Drogba will be absent to African Nations Cup. Who should partner Robin Van Persie? Spurs fly like a bee and sting like a butterfly! Back to back for Manchester United?